Everything from life, love, infidelity, murder and death are explored as seen through the eyes of Eliza Ma'Koi MacDougal. A young feisty teen who was forced to grow up fast due to the death of the first man who ever loved her. Yes, her dad. She then watches as her mother spirals out of control as she chases her crack demons. Forced to grow up fast and take reins of the household and younger siblings to try and keep them out the foster care system, she meets and falls in love with a 19-year- old male named Griffin. He is four and a half years her senior. He loves young Koi in his own twisted way but makes no secret of his wife, an older more sophisticated hood chick who bumps heads with Koi a lot. Koi takes it all in stride however and turns to boosting clothes as a way to help contribute to the household income and engages in frisky behavior with a young thug by the name of Fuquan. However, young Koi starts on a spiral of her own along with her best friend Shatease who already have a two year old child and a mother whose crack demons are just as strong as Koi's mom's. This saga will make you place your own daughters under house arrest, peeking in their rooms at night and following them in the morning to school to ensure they are not cutting up in the streets, chasing boys and being sexually active. Be prepared to cry, shout and become angrier than you ever have as you listen to young Koi's story of betrayal, lies, lust and murder for hire. 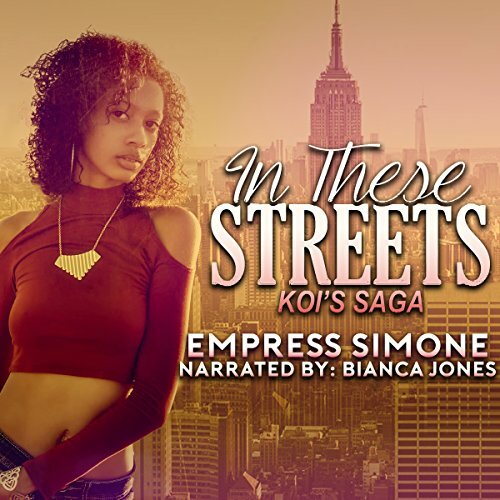 You will see the one thing Koi feels is missing in her life since her dad's death is love but will root for her to overcome her turmoil in this hood literary drama. Everything from life, love, infidelity, murder and death are explored as seen through the eyes of Eliza Ma'Koi MacDougal. A young feisty teen who was forced to grow up fast due to the death of the first man who ever loved her. Yes, her dad. She then watches as her mother spirals out of control as she chases her crack demons. Forced to grow up fast and take reins of the household and younger siblings to try and keep them out the foster care system, she meets and falls in love with a 19-year- old male named Griffin. 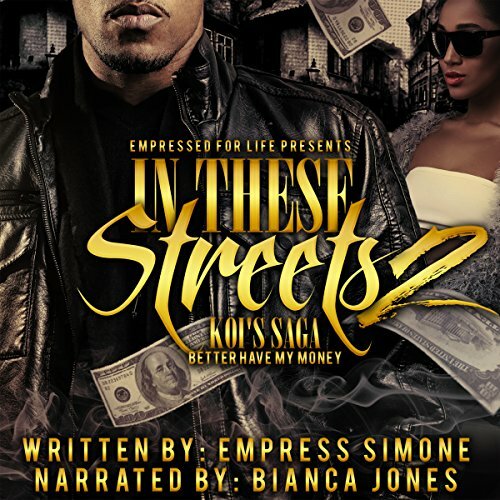 The anticipated second installment of In These Streets: Koi’s Saga is here. It picks up where the first installment has left off, informing you of the events after young Koi and older boyfriend Griff were rushed to the hospital. This second installment is just as hot as the first, introducing you to a new cast of characters with even more secrets and scandals. Find out what happens when their paths collide as the saga continues.